A couple weeks ago while Hubby and I were visiting home we ate lots of yummy food. 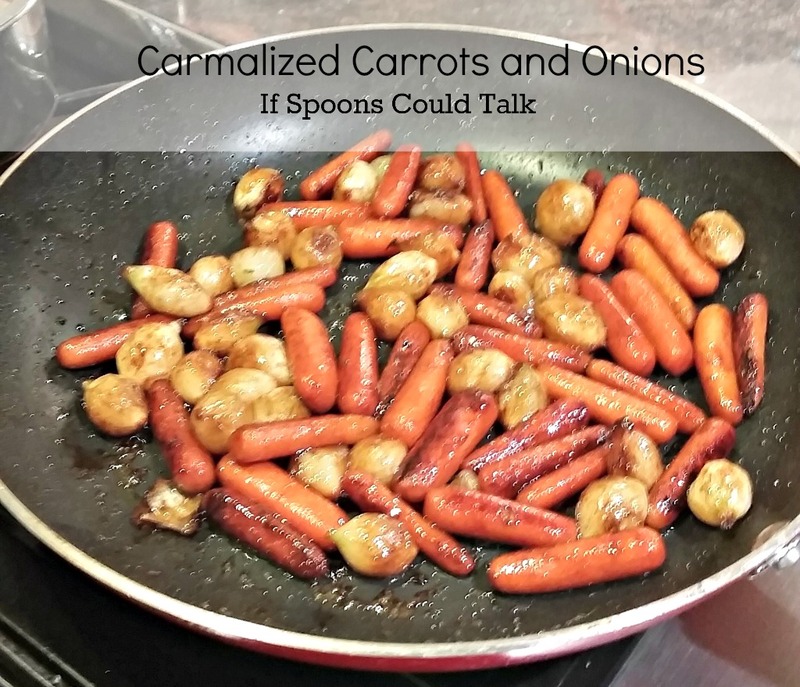 Including these carrots and onions, my father in law showed me how to make these and they are amazing!! 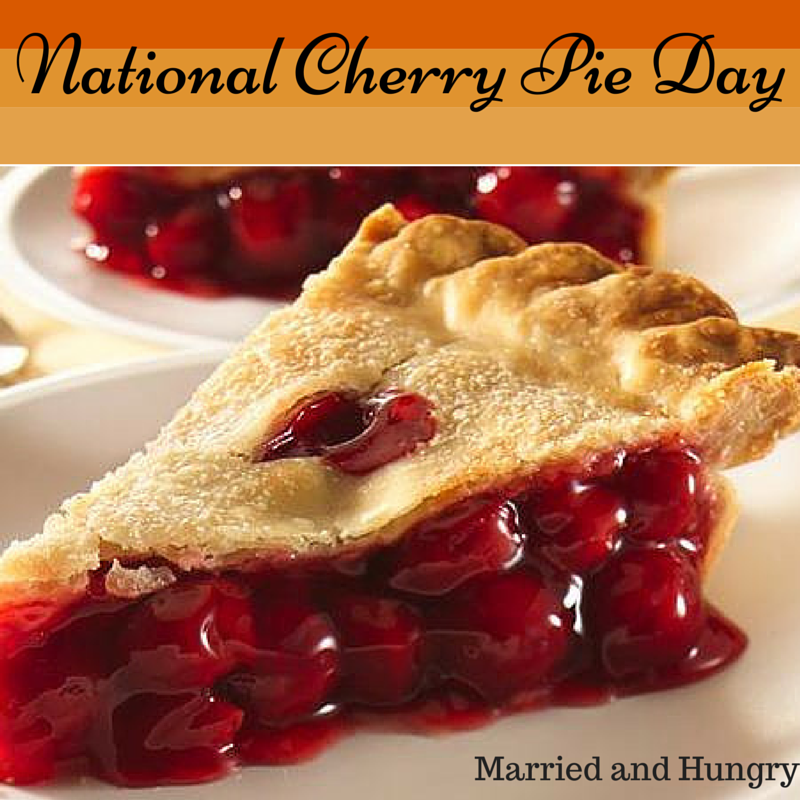 I am so glad to share them with you. 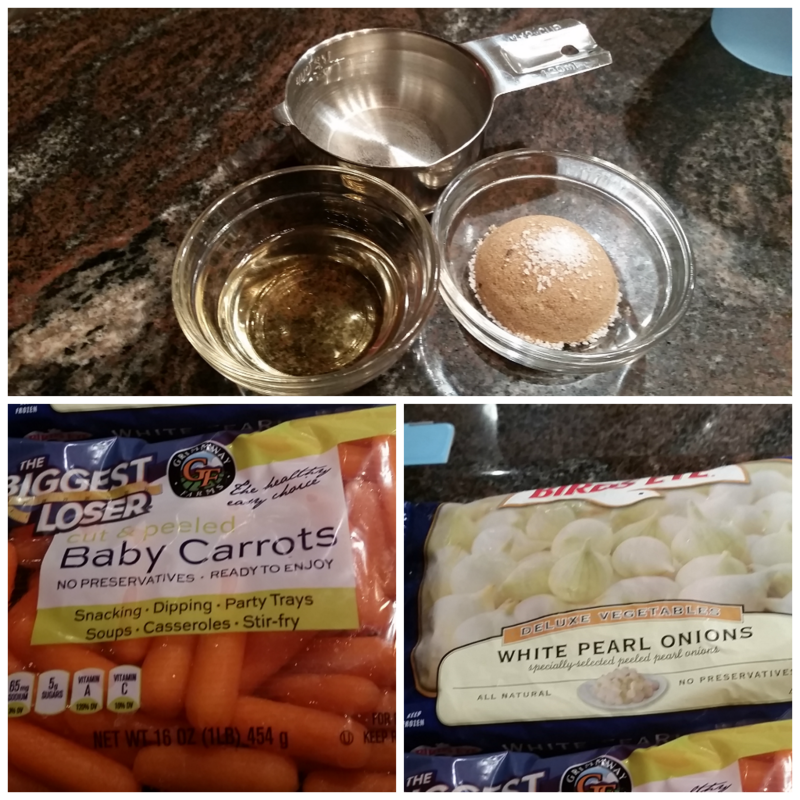 Ingredients: Baby carrots, pearl onions, water, apple cider vinegar, brown sugar, and salt. Cooking these is so simple. Add them into the pan and leave them there. Let them get nice and dark, so you can get all the good flavor from them. Add in the vinegar, water, and brown sugar and let cook together and coat the onions and carrots. 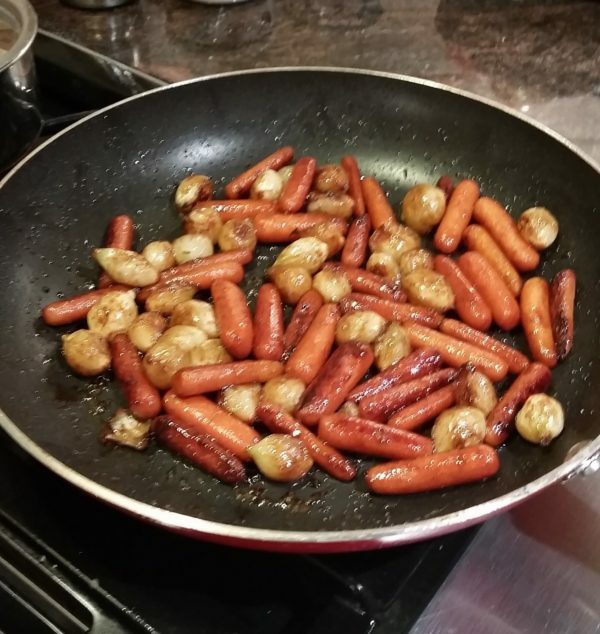 Put the oil, carrots and onions in the pan and let them sit. You want them to develop flavor so don’t touch them. Leave them until they are nice and brown. Cover and simmer for 10 minutes. Until all the water is gone. Add in the brown sugar and cider vinegar. Boil until it is thick and syrupy, and all is covered. It takes about 5 minutes.